The main characteristic of whey protein hydrolyzate (WPH) is that it is very easily absorbed by the body since it is a pre-digested protein that enters the bloodstream quickly. It consists of the smallest possible protein molecules in the form of dipeptides, tripeptides and free amino acids. 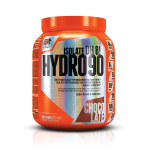 In fact, hydrolysis does what your body should do to absorb the protein since it must use enzymes to divide protein into smaller molecules. 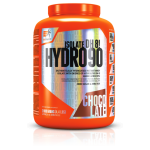 Hydrolyzed protein is absorbed more quickly than any other form of protein and is the best choice for taking pre- and post-workout to fully supply your muscles with the amino acids needed to perform the most important functions. It is the best form of protein for people with digestive problems and gastrointestinal disorders. 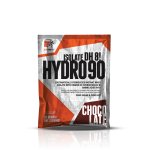 HYDRO 90 ISOLATE PROTEIN 2.2 lbs.